Legendary action star Jackie Chan is now approaching the twilight years of his career. He has truly lived an exceptional life and is responsible for spreading countless amount of joy around the world with his enormous body of work. He slowly transitioned from an action star to an action-comedy legend and the transition was simply brilliant to watch. He is now one of the most widely-recognized celebrities around the world and is famous for doing all of his own stunts. 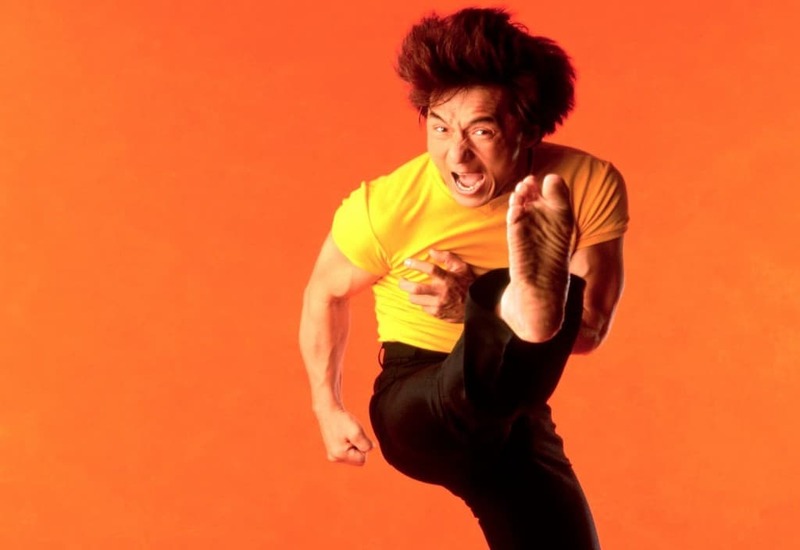 There are many things you may already known about Jackie Chan, but this list includes 10 lesser known facts about the martial artist. 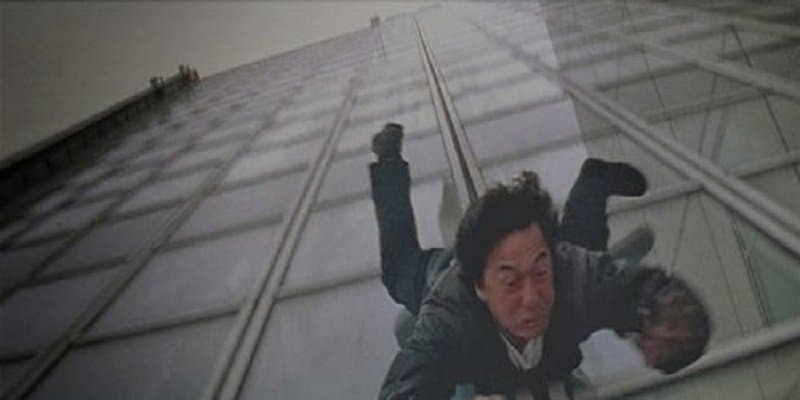 Jackie Chan has performed some mind-bending stunts during the course of his career, but only a few can match the intensity of the stunt in his film ‘Who am I?’. He had to slide down a 21 storied building in Rotterdam at a 45 degree angle, tumble over, stand up and then walk down quickly, before sliding and tumbling again. Jackie admits that this stunt nearly froze his blood because of how terrifying it was. Jackie Chan has an origin story that is worthy of adaptation on the big screen. His father was a spy for the Chinese government, and during one of his missions, he arrested a stage-performer and opium seller named Lee-Lee. He soon fell in love with her and the duo decided to leave the country and flee to China. They had a child five years into their relationship, who was sold to the doctor who delivered him for 26 dollars. 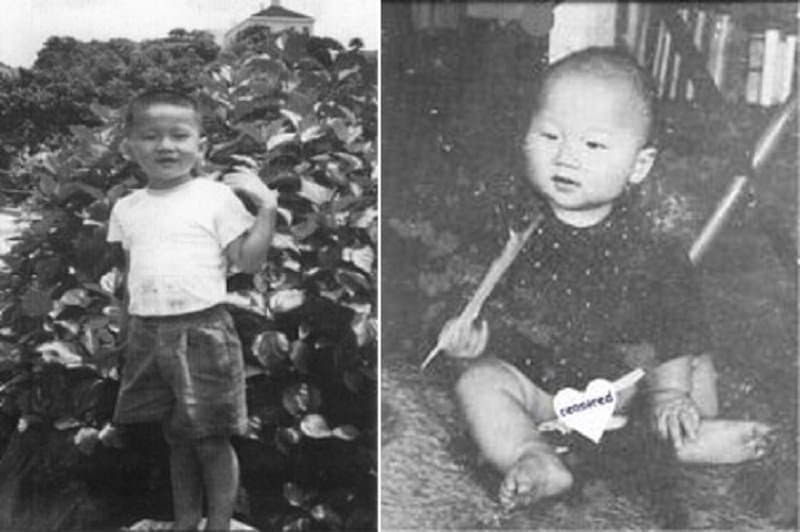 This child went on to become the great and awesome Jackie Chan. Not only did Jackie transition from action to comedy during his career, he also had his own animated series and is a highly acclaimed singer as well. He has put out 20 albums so far, more than most singers who do not even act. 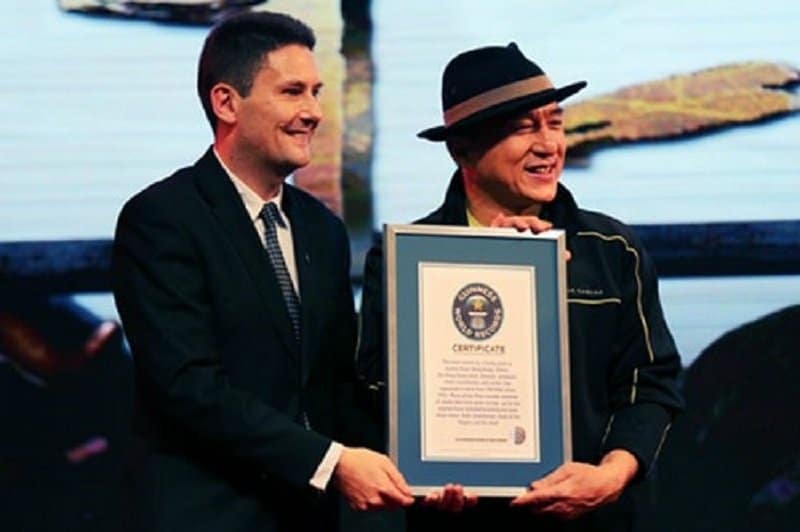 A lot of people pride themselves on working hard for the perfect take, but not many people get a Guinness record for their perseverance. Jackie Chan won this award for most takes for a scene when filming the 1982 film Dragon Lord. He apparently took 2,900 attempts just to get the complex 10 minute opening right. During the course of a lifetime in action films, you are bound to pick up several injuries. 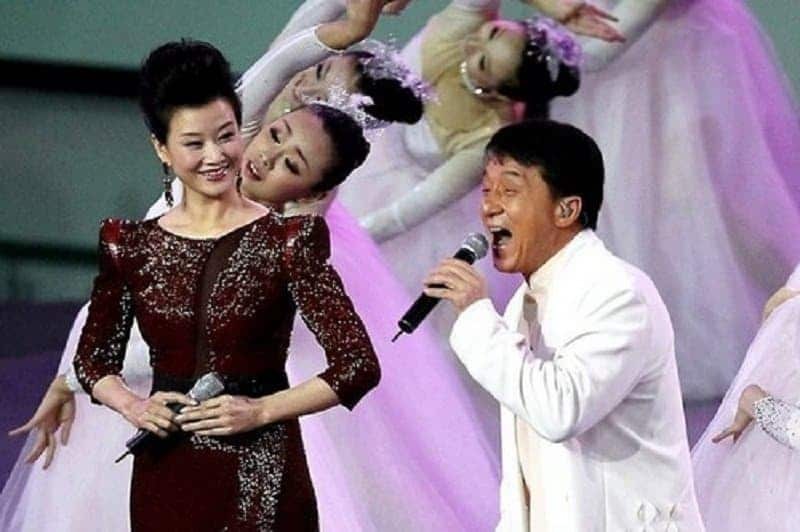 Jackie Chan has a mind-bending number of injuries on his body, including a broken angle, neck, thigh, pelvis, shoulder and sternum. He now has to use a body double for his sprinting scenes. 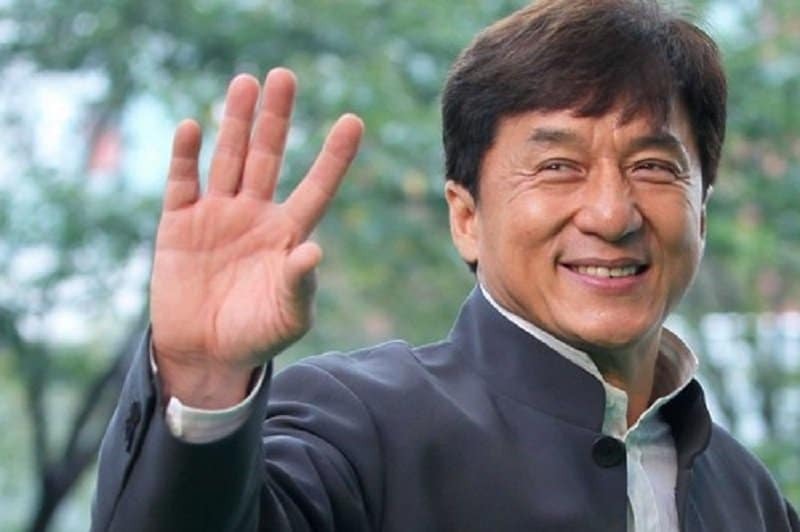 Jackie Chan admitted that he doesn’t really understand Hollywood very well and he isn’t a big fan of mainstream Hollywood movies. He finds the comedy in the films confusing and doesn’t understand why car-chases are so widely loved by the audience. Jackie Chan has had to work with several stuntmen during his career and he relies on their professionalism for his own safety. In order to ensure that he works with only the best stuntmen around, he built his own stuntman association called ‘Sing Kar Pan’. 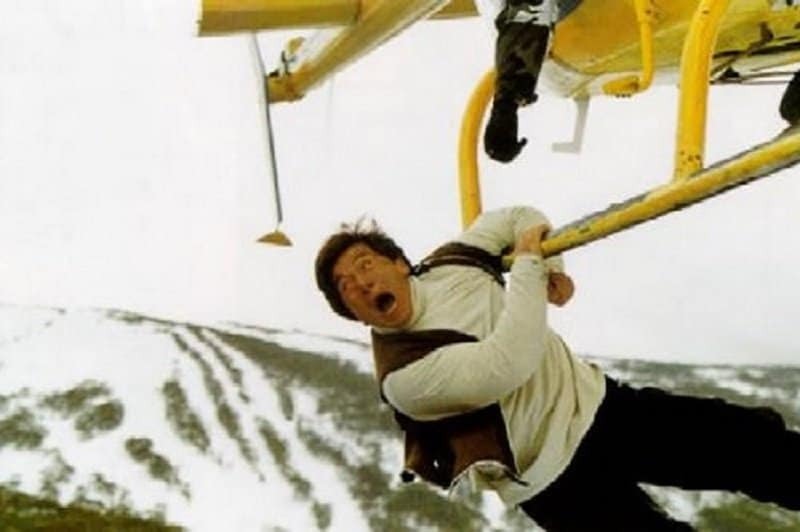 Jackie Chan always insisted on doing his own stunts, no matter how dangerous or absurd. Unfortunately, one of the lesser dangerous stunts he undertook nearly claimed his life. In 1986, when Jackie was in Yugoslavia, he was supposed to leap from a wall to a near-by tree. He did not make the jump cleanly though and ended up falling from a great height. He fractured his skull quite severely, but somehow managed to escape the fatal incident. 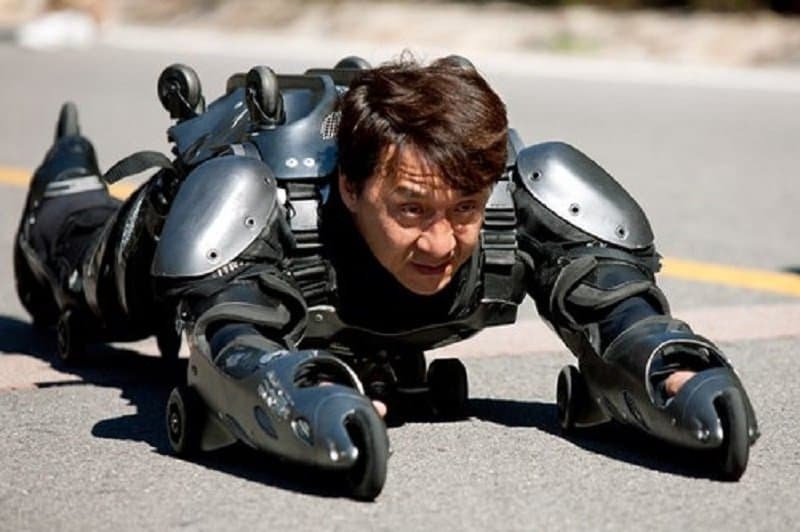 Apart from the record for most takes in a single scene, Jackie Chan also holds the record for most stunts by any living stuntman and for holding more than 15 roles in one film. He won this record for the film ‘Zodiac’, where he was the director, writer, actor, executive producer, producer, unit producer, art director, cinematographer, manager, prop man, stunt coordinator, stuntman, gaffer, theme song vocalist, composer and even caterer. Now that is one talented individual! While shooting the film ‘Wheels on Meals’, Jackie had a few unpleasant encounters with one of his cast members Benny Urquidez who was a kickboxing world champion. Jackie was unhappy that Benny was laying hurtful blows on him during the filming and challenged the champ for a fight when things got heated. Luckily cooler minds prevailed and the fight was called off in a while.